For the last 11 days the Browns have been on top of the world of the AFC North. In a matter of three hours at home on Sunday, it all fell apart. The Browns offense fell flat against an aggressive Texans defense, and possibly an even more aggressive Texans offense outplayed the Browns D in a 23-7 loss that puts the team at 6-4 on the year. The loss, combined with the Bengals win over the Saints, drops the Browns in a three-way tie for second in the AFC North for the time being. The 6-4 Steelers play in Tennessee Monday night. This loss was stinging for so many reasons. They were playing a QB making his first start, a backup rookie RB, and a defense that flustered Brian Hoyer into 30 incomplete passes. 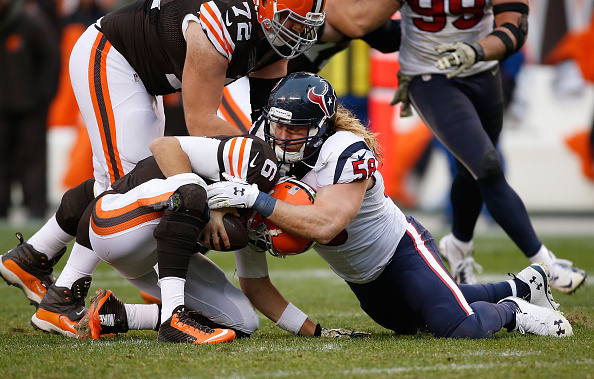 Hoyer threw for 330 yards and a TD and a pick, but was hurried often by the combo of J.J. Watt and Brian Cushing, and took two sacks and even fell down dropping back to pass twice. The huge letdown didn’t help when Texans rookie back Alfred Blue put up record setting numbers, rushing for 156 yards, and looking about as good if not better than injured back Arian Foster. Tied at seven in the second quarter, the Browns were driving for what could have been the go-ahead score, when Isaiah Crowell was hit and fumbled, and the Texans recovered. Texans QB Ryan Mallet quickly drove the offense downfield, and hit TE Garrett Graham from 20 yards out to give Houston a 14-7 lead. The second half was a disaster for the Browns, who at one point ran 18 plays and had amassed 18 yards. Houston put the game away with three field goals, and a pick late to seal the win and put them at 5-5 on the year. “They came out here and played a better game than us. 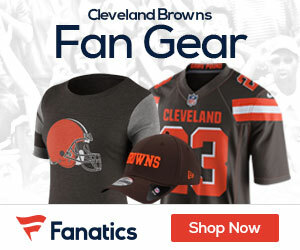 They out played us in all phases of the game,” CB Joe Haden said. The Browns are in Atlanta next Sunday to play the 4-6 Falcons.